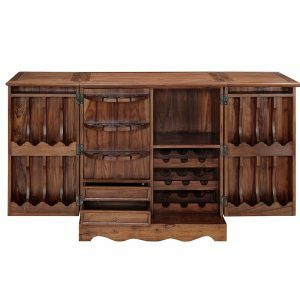 The bar cabinet has several shelves on the insides of both the doors, and in the middle of the cabinet. 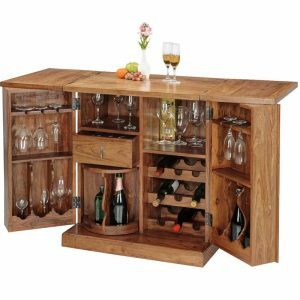 The cabinet has dedicated wine bottle holders to ensure that your fine wine collection is safely stored. 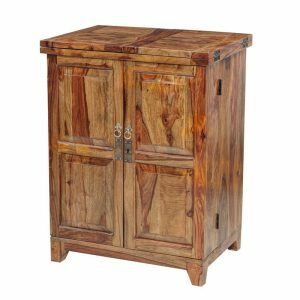 The Sheesham wood cabinet is durable, and the wood has an elegant grain finish. 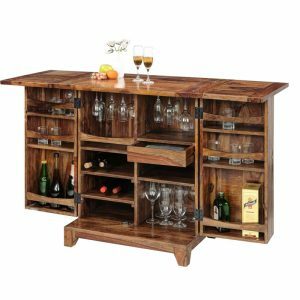 brass design bar cabinet, best quality ,available in honey, moghney, rosewood finish, long life warranty products, natural living tag with brand name, Online Sheesham Wood, Rosewood, Hardwood, furniture store now available at Bangalore, Chennai, Hyderbad, Mangalore, Kengeri, Bhopal, Hosur, Tumakuru, Hoskote, Rajanukunte Ujjain, Kolhapur, Mumbai, Satara, Lonavala, Indore, Pithampur, Mhow, Dhar, Pune, Pimpri, Cinchwad, Lavasa, Kondhwa, Goa.Karad, Ahmednagar, Nashik, Delhi Ncr, Gurgaon, Greater Noida, Noida, Ahmedabad, Vadodara, Surat, Jaipur, Udaipur, Kota. 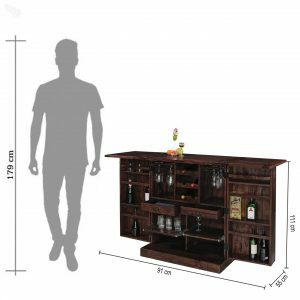 The spacious bar cabinet has numerous shelves to place your wine glasses, bottles, and other bar accessories, in a stylish and sophisticated looking cabinet. 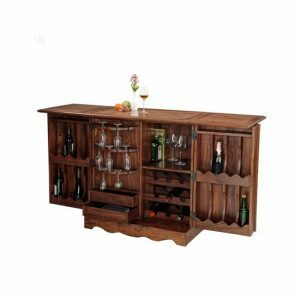 The elegant bar cabinet has a vintage design that would certainly add style and grandeur to your home. 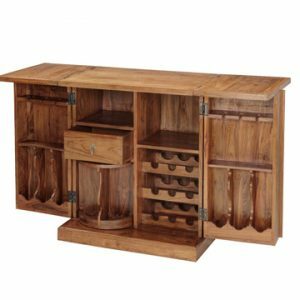 best quality bar cabinet, use in kitchen or living room, best finishing 3 in colours honey , rosewood, moghney finish, natural living tag with brand name available, long life warranty product ,2 door open cabinet with up table use. 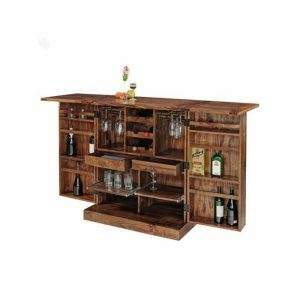 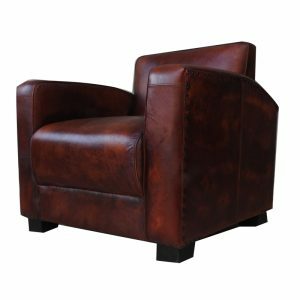 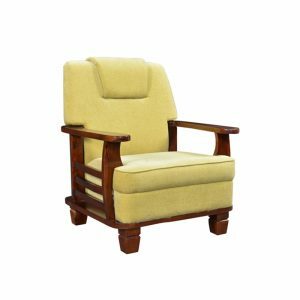 Online Sheesham Wood, Rosewood, Hardwood, furniture store now available at Bangalore, Chennai, Hyderbad, Mangalore, Kengeri, Bhopal, Hosur, Tumakuru, Hoskote, Rajanukunte Ujjain, Kolhapur, Mumbai, Satara, Lonavala, Indore, Pithampur, Mhow, Dhar, Pune, Pimpri, Cinchwad, Lavasa, Kondhwa, Goa.Karad, Ahmednagar, Nashik, Delhi Ncr, Gurgaon, Greater Noida, Noida, Ahmedabad, Vadodara, Surat, Jaipur, Udaipur, Kota.